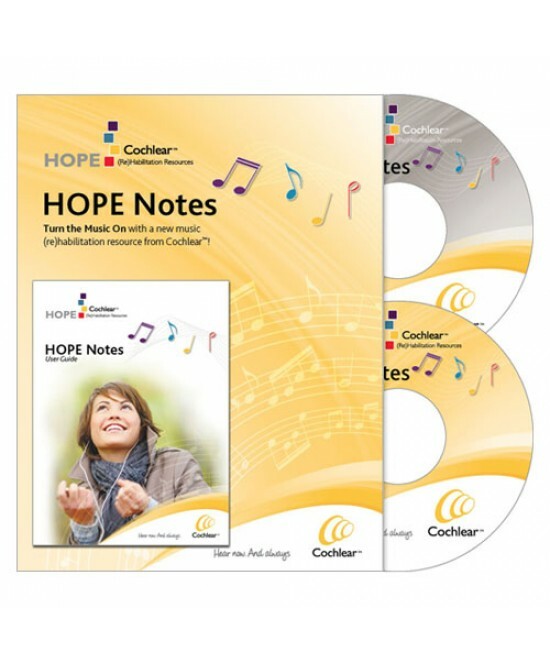 HOPE Notes is the first of its kind – a program uniquely developed for Cochlear Implant and Hearing Aid users. 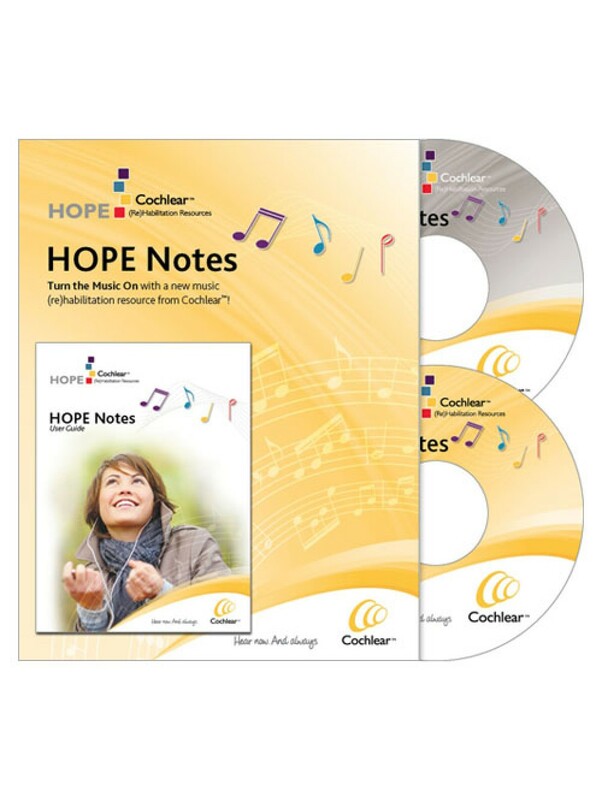 This program is designed to help improve music perception and appreciation using original songs and tunes played in unexpected ways. *The DVD incorporates both visual and audio cues while the CD (deigned for on the go use) focuses solely on the audio component of the program.